Are Big Sellers running rings around you? Are Chinese Sellers taking over your niche? Well…we’ve flown in the guy from China who teaches them how to! Originally from Detroit but now based in Shenzhen, Zack was senior manager at an Amazon company that sold for $1bn and is now involved in multiple businesses in the e-commerce space. Zack is CEO of AMZKungfu, an 8-figure seller in his own right, a well-reknowned business coach and presenter at more than 70 e-commerce events including Affiliate World Asia, Global Sources, and Cross Border Summit. In short, Zack is the secret weapon of the Chinese eCommerce giants. 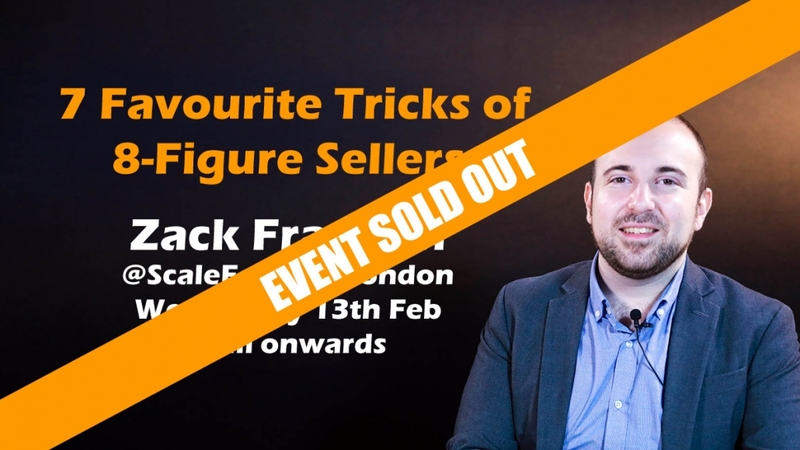 Zack is well known for bridging the gap between affiliate marketing and Amazon, driving massive amounts of “ready to buy” external traffic to Amazon and e-commerce sites. He has cracked the code on paid traffic for sellers worldwide, generated millions in sales and more than 20,000 reviews in the past year. Here is a taster on what he will be covering on the night. 1️⃣ we have an expert panel that will be answering all your questions you have 🙋🙋🙋 on every aspect of selling on Amazon. 2️⃣ be a part of the community! Pick the 🧠 brains of people at/above/below your current level. We have beginners, experienced sellers and top dog multi-million pound sellers in the room. All willing to share their pearls of wisdom. So, if you’re interested in scaling your Amazon business to the next level or just interested on how the Chinese operate: buy your ticket today and we’ll see you there! Ash, Christian, Jason, Richard and Shelley. 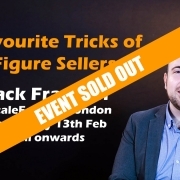 P.S If you would benefit from more in depth training about how to boost your Amazon or general e-commerce sales then please consider coming to one or both of Zack’s masterclasses! ScaleForEtail is a UK based eCommerce Training and Consultancy Business designed to support online businesses in the USA and Europe.